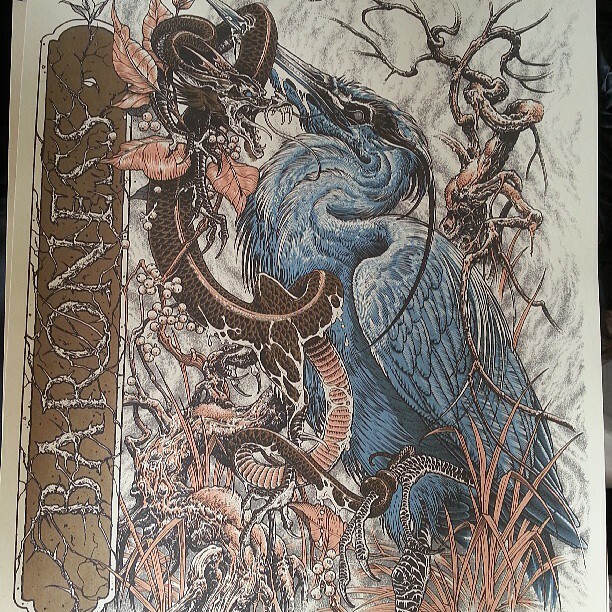 Marald Van Haasteren has 2 new Baroness prints available now via Burlesque. 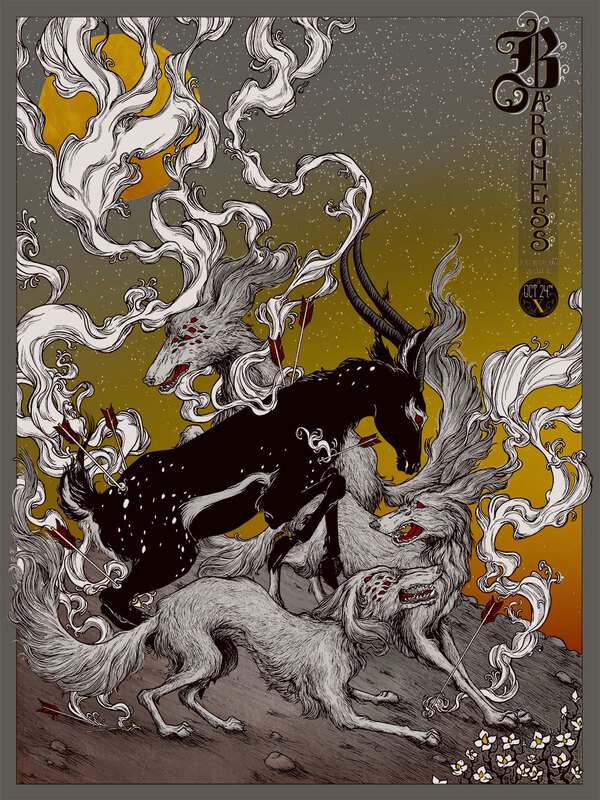 Beyond the Pale has new posters available up in their shop. On sale now HERE. 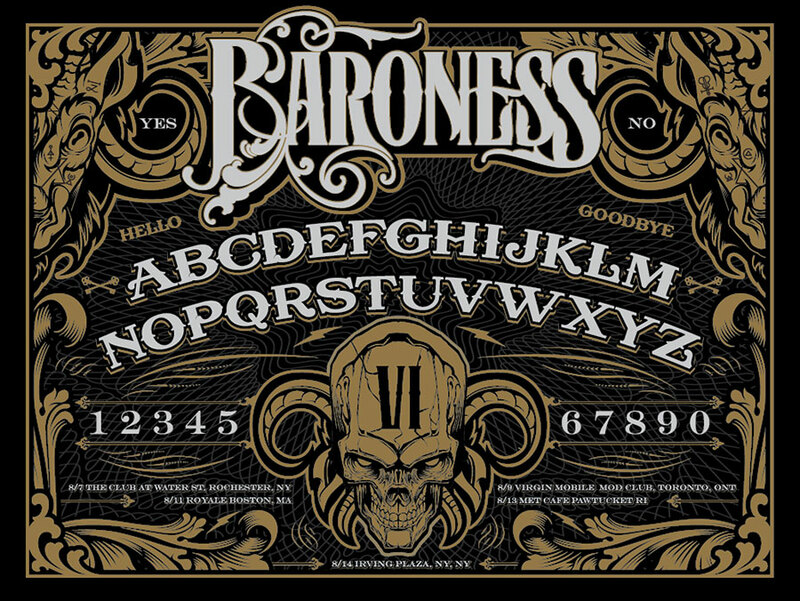 Erica Williams will have “Baroness – X 2013” available soon via Burlesque. 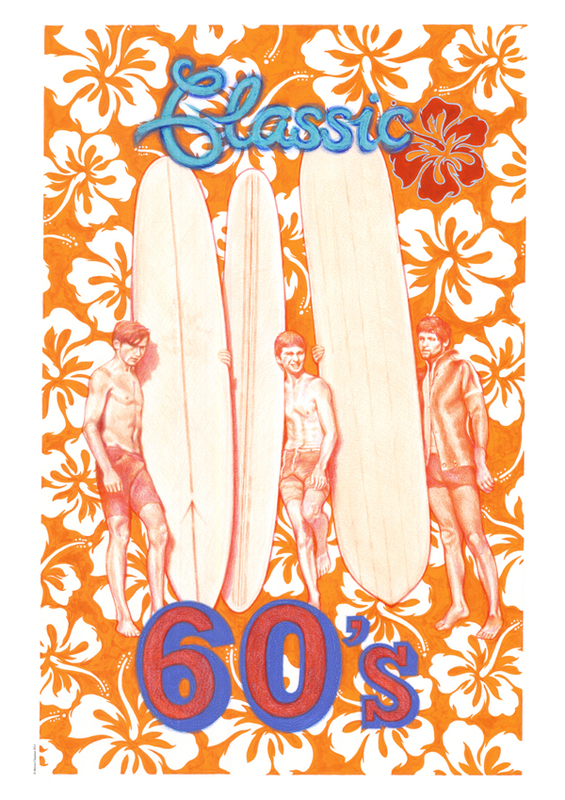 It is an 18″ x 24″ 4-color Screenprint, signed/numbered edition of 100, and cost $25. On sale Tuesday, October 29th at at a random time HERE. 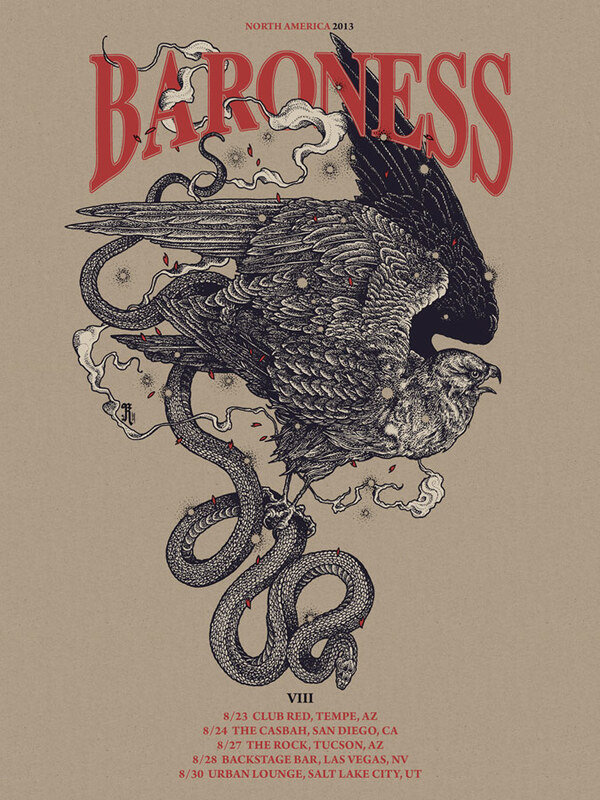 Richey Beckett now has “Baroness – VIII 2013” gig posters available via Burlesque. It is an 18″ x 24″ 3-color Screenprint, signed/numbered edition of 100, and cost $25. 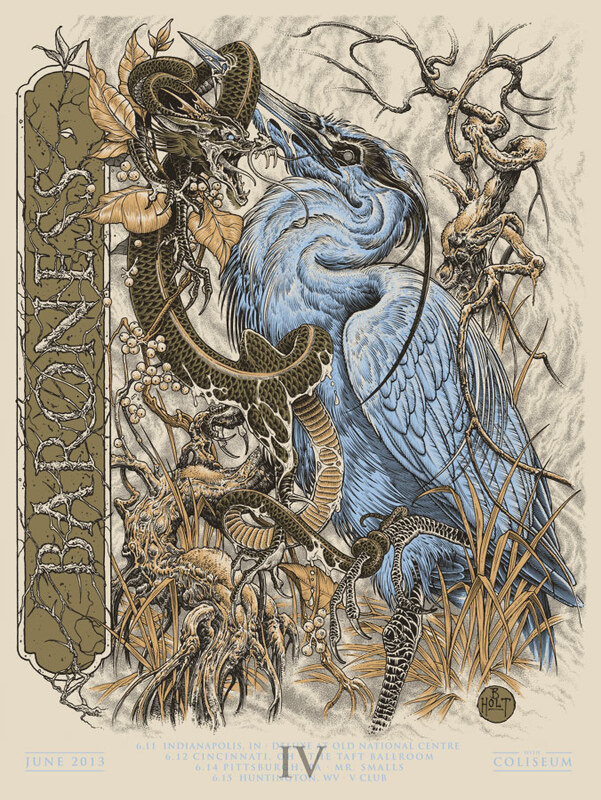 Landland now has “Baroness – IX 2013” gig posters available via Burlesque. 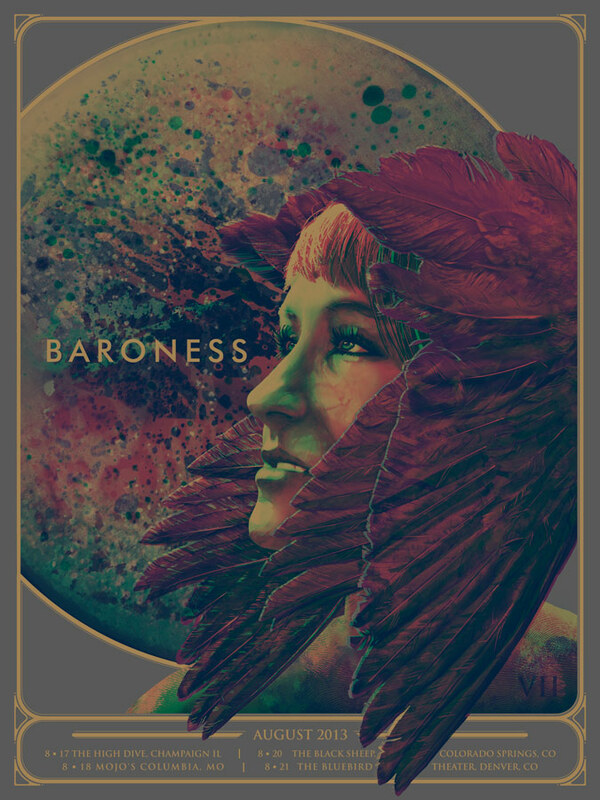 This summer series for Baroness has been incredible I must say. 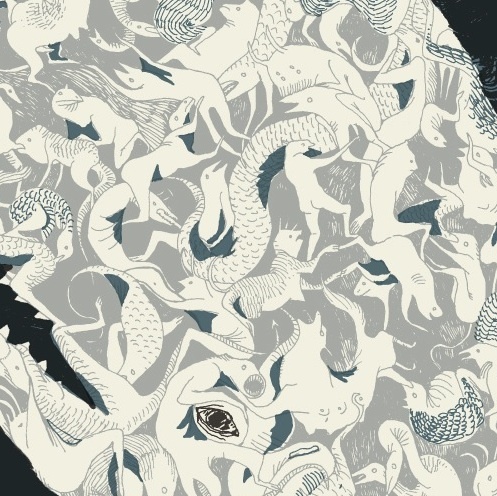 It is an 18″ x 24″ 4-color Screenprint, signed/numbered edition of 200, and cost $25. On sale now HERE. 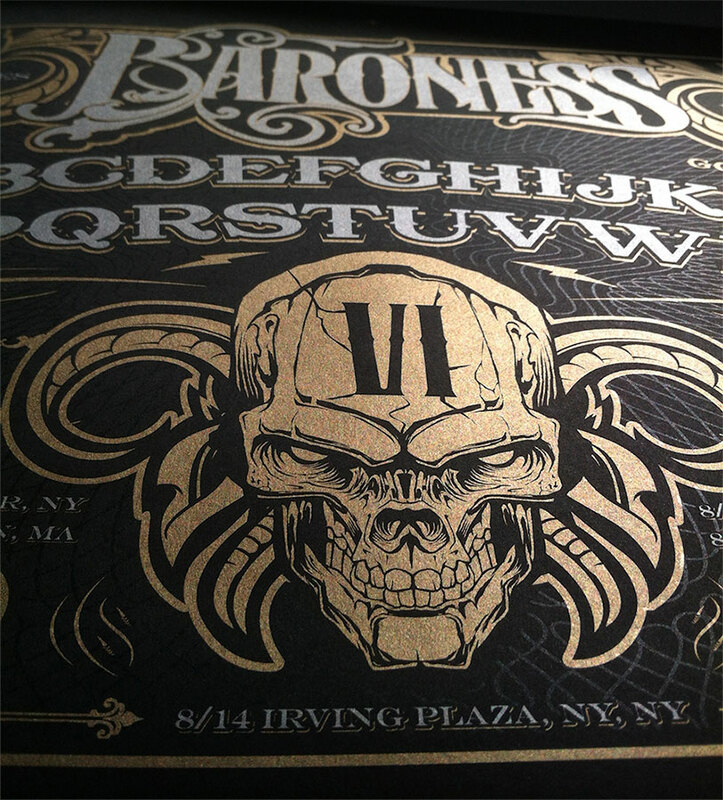 “Baroness – VII 2013” by Wes Winship tour posters are now available via Burlesque. 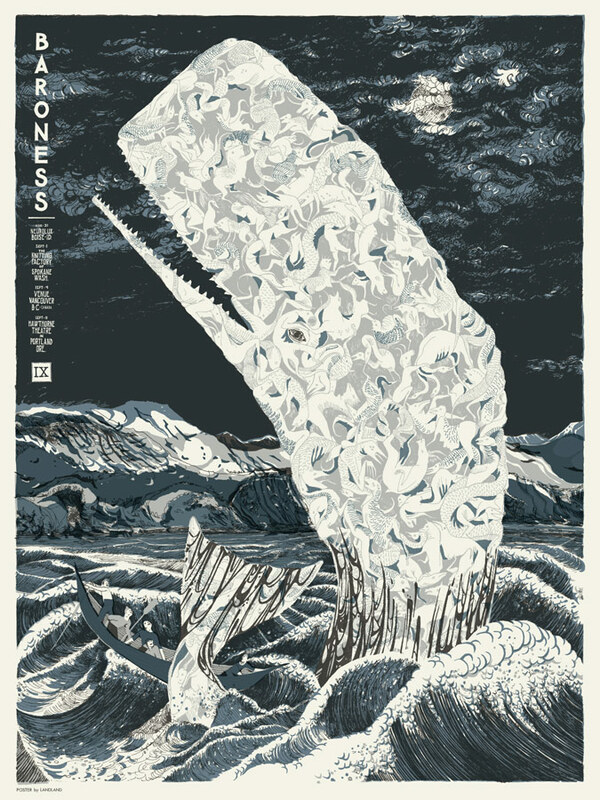 It is an 18″ x 24″ 3-color Screenprint, signed/numbered edition of 200, and cost $30. Burlesque now has “Baroness – VI 2013” by Hydro74 gig posters available. It is an 18″ x 24″ 3-color Screenprint, signed/numbered edition of 100, and cost $25. On sale now HERE. 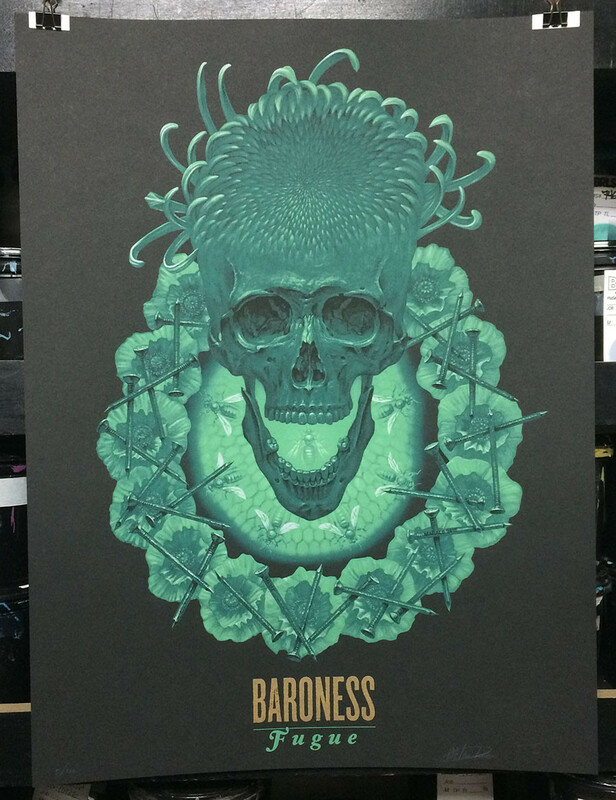 Tara McPherson now has “Melvins / Baroness – Brooklyn, NY 2013″ gig posters available. 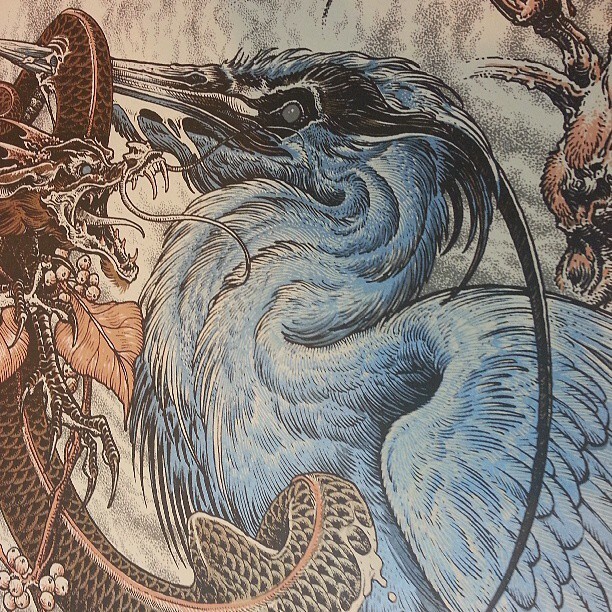 It is a 14″ x 23” 3-color Screenprint w/ GID and metallics inks. Signed/numbered edition of 200, and cost $40. She also has a new art print available titled, “Shall We Dance”. It is a 24″ x 29″ Giclee w/ Aluminum Leaf and comes framed. Signed/numbered edition of 10 and cost $900. On sale now HERE. 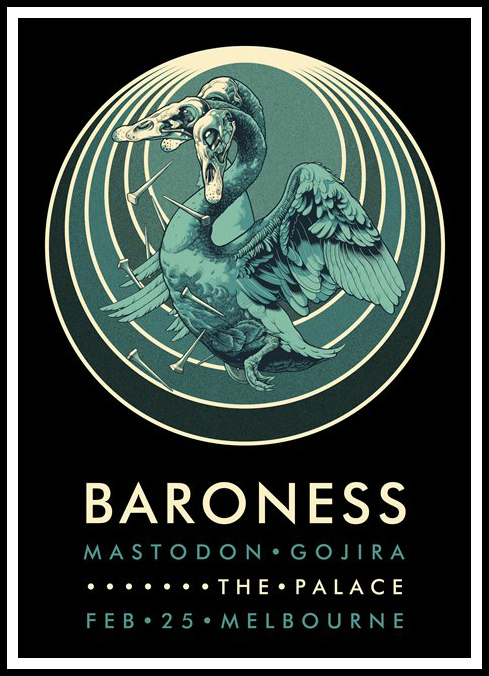 Brandon Holt created this incredible gig poster for the Baroness tour poster series. 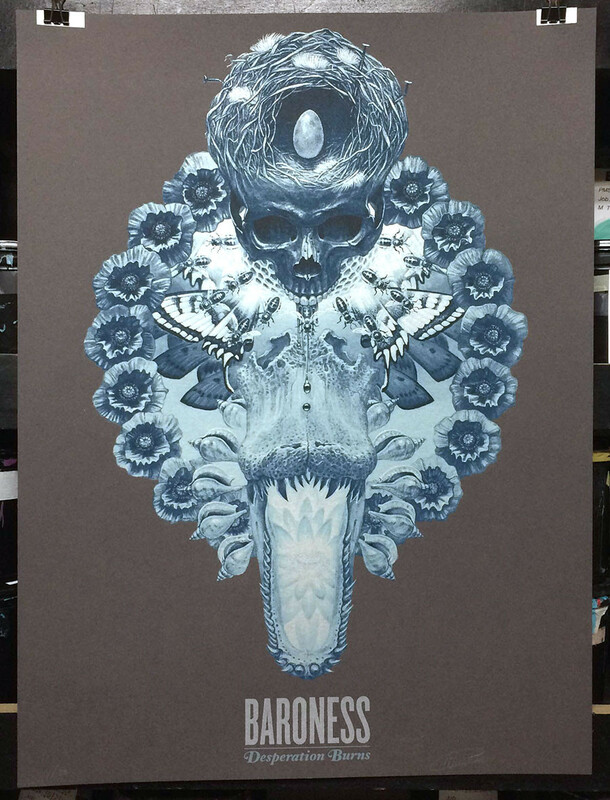 It is an 18″ x 24″ 5-color Screenprint (w/ 2 metallic inks), is a signed/numbered edition of 200, and cost $30. On sale Tuesday, June 25th at a random time HERE.